After the Acer Switch 10E last month, we tested another 10-inch hybrid ultraportable in the form of ASUS Transformer Book T100HA. We’ve seen literally every generation of the Transformer series from ASUS since its inception, and are quite pleased with this current iteration in particular. It literally weighs just 1 kg, weight equally split between its screen and keypad halves. You can tuck the slim and trendy hybrid right inside your backpack and won’t even notice its weight. It looks attractive with a lustrous metal finish on its screen cover (but not its bottom panel), adding a tinge of premiumness to its overall exterior. It’s built well, doesn’t exactly feel cheap on the touch, which is quite an achievement given the fact that this is a budget hybrid notebook. The detachable screen design of the ASUS Transformer Book T100HA isn’t quite as awesome as the Acer Aspire Switch 10E’s in the ease of locking and unlocking, in particular, but it’s great nonetheless. While it doesn’t take a whole lot of effort to unhinge the Transformer Book T100HA’s screen off its keyboard base, we felt the Aspire Switch 10E’s hinge performed just a little better overall. When it comes to the Transformer Book T100HA’s slim, trim form factor, there’s always a big question mark on the device’s keyboard and trackpad performance. One wonders whether utility and functionality has been penalized to make room for size-zero design. However, we are happy to report that when you open up the Transformer Book T100HA’s keyboard deck, the two key input devices – keyboard and trackpad – performed quite well. Typing on the hybrid notebook’s chiclet-style keys was a good experience, the key travel was adequate and the trackpad’s sensitivity was nice. As far as the Transformer Book T100HA’s third input mode’s concerned – which is the multitouch screen – we have to say the device worked pretty well in tablet mode as well. Pinch, swipe, zoom and flick actions were snappy on the bundled Windows 10 operating system, with hardly any clumsy clicks. One negative here was the fingerprint smudges the screen ended up attracting, which was definitely not close to ideal. Using the screen as a tablet in Windows 10’s tablet “mode” is good (cycling through open apps, large keyboard, handwriting input, etc) but when you try to interact with the OS like a “PC” with your fingers – like trying to right click on system tray, etc – that’s where all Windows 10 hybrids currently struggle a bit. 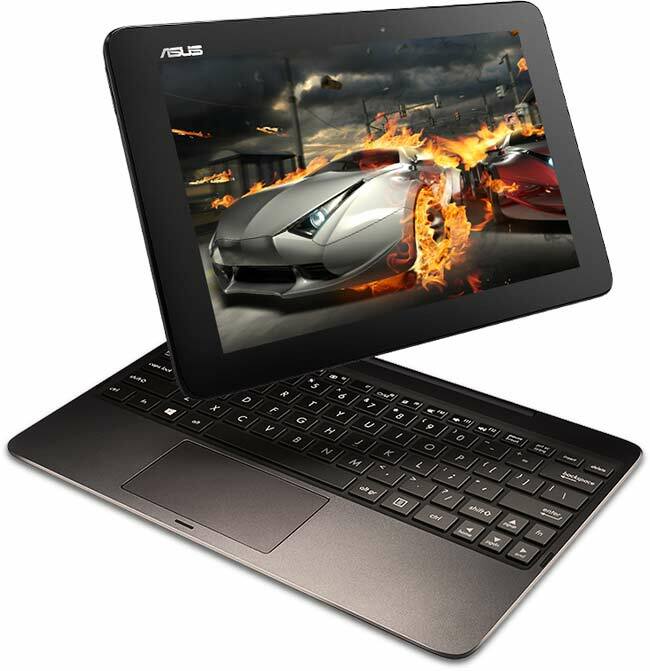 What’s more, because the Transformer Book T100HA’s screen is meant to be used a full-fledged tablet, the device’s on-off switch, volume buttons, etc., are all situated around the screen edges, while most of the legacy input-output ports meant for use when the device is in its laptop mode are situated on its keypad. This is good from ASUS as it prevents all the ports crowding on to the screen predominantly. Apart from tablet mode working like a charm on this device, watching video and listening to music on the ASUS Transformer Book T100HA was nice, too, as well as working on productivity apps (Google Drive, Microsoft Office 365). We couldn’t quite manage to run our Datacolor Spyder calibrator to get precise readings of the T100HA’s screen, but as per Lagom.nl screen tests, we definitely saw the ASUS Transformer T100HA produce better black levels compared to the Acer Aspire Switch 10E. In terms of multitasking, as long as you aren’t trying to do more than 2-3 tasks at a time, you’re going to be okay with the T100HA’s multitasking prowess. Remember, these budget hybrid notebooks aren’t meant to be trailblazers in the performance department – you definitely can’t pit them against more expensive hybrids or thin laptops just because they have a similar form factor. That’s just wrong. Its battery life of 4 hrs 52 mins in our benchmark falls short in comparison to the Acer Switch 10E’s 5 hrs and 47 mins. It’s still good to last over 7-8 hours easily, with conservative settings. It’s price is where the T100HA pulls away from the Acer Switch 10E. Definitely worth considering, if you’re looking to buy a 2-in-1 under 25k. A close second to also consider would be the Acer Switch 10E. 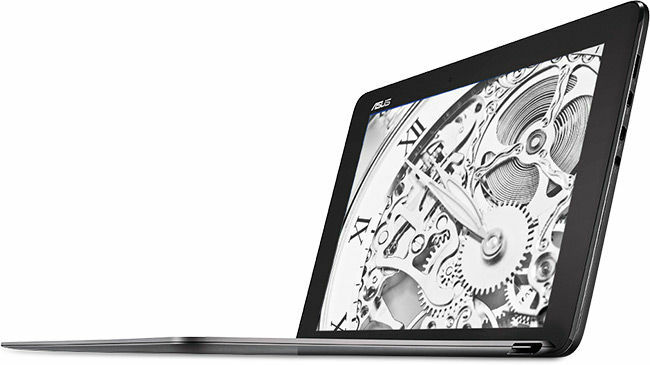 which is the best ultra book under 60k?